UNIVERSITY PARK, Pa. — “Be prepared.” This famous mantra isn’t just for the Boy Scouts of America. The need to build durable infrastructure on other planets is coming, and we must be ready. To prepare, Penn State researchers have teamed up with NASA to explore how cement solidifies in microgravity environments. Microstructural development of concrete occurs in stages — when the cement is exposed to water and when the mixture undergoes the complex process of solidification. What happens during these stages leads to the development of elaborate combinations of amorphous and crystal phases. The shape, volume, and distribution of these determines the properties of the hardened material. This process is altered when gravity is minimized considerably, which changes the crystalline structure, and ultimately the material itself. During the first phase, the team sent 120 pre-packaged samples to the International Space Station (ISS), a working science lab in space. Sample packets included two or three separated compartments containing cement and water, or cement, water and alcohol (the latter was used to stop the hydration reaction at given time interval). While in orbit, an astronaut onboard the ISS was tasked with hydrating each sample by bursting the water packet into the cement packet and then halting the hydration at a given point using the alcohol for certain samples. This series of experiments varied the type of cement, the type of additives, the number of additives, the amount of water, and the length of time until the hydration was stopped. The samples were then returned to the Marshall Flight Center in Huntsville, Alabama and then transported to Penn State where they are currently being tested and characterized in detail. 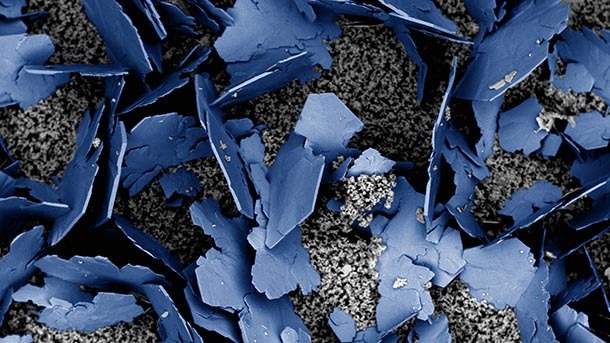 Once the results have been compiled, this research will be helpful in understanding how to use cement as a building material in space, but the knowledge gleaned will also be beneficial to improving Earth-based cement and concrete processing. Concrete is the single most widely used human-made material in the world, with global production reaching roughly 10 billion tons per year — and it has a carbon footprint to match. Even a slight improvement in the process could have huge implications on the sustainability of cement-based infrastructure. Researchers on this project include Richard Grugel, a materials scientist with NASA; Barry Scheetz, professor of materials, civil, and nuclear engineering at Penn State; Juliana Neves, a doctoral student in civil engineering at Penn State, and Peter Collins, a graduate student in civil engineering at Penn State. Implementation partners for the space flight were Leidos and Techshot, Inc. Industry collaborators include BASF, Ipenex and Sauereisen.